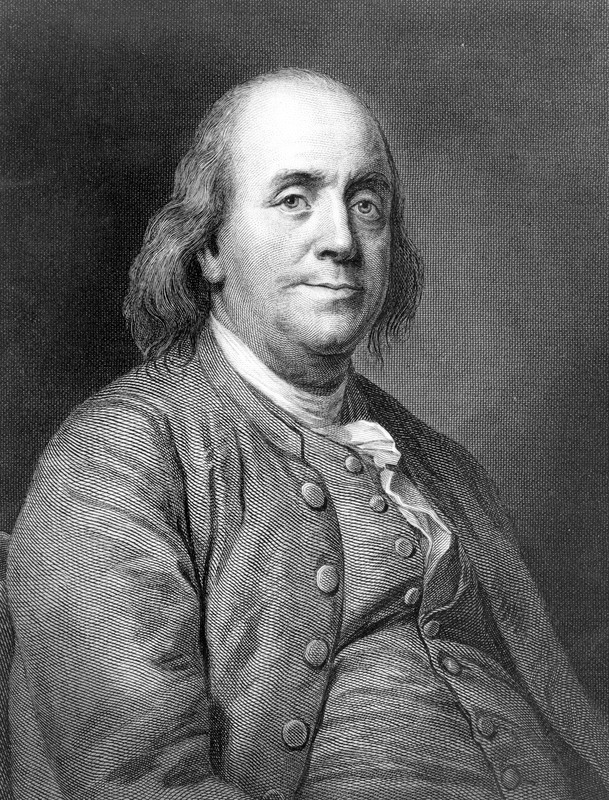 Besides being a famous statesman and diplomat, Benjamin Franklin was a well-known American scientist. He contributed to oceanography in the mid- to late 1700s by making and compiling good observations of ocean currents off the US East Coast. He was particularly interested in the Gulf Stream, a fast-moving current of warm surface water that sweeps up from Florida, along the continental slope off the US East Coast, and then bends eastward across the North Atlantic all the way to Europe. Franklin was the first to refer to the Gulf Stream as a “river in the ocean.” As Deputy Postmaster General of the American colonies, Franklin promoted using the Gulf Stream to speed up delivery of mail from America to Europe, as well as to improve other commercial shipping. The Gulf Stream is not really a “river in the ocean” as Franklin thought. But the waters that make up the Gulf Stream are “channeled” into a certain direction and speed by many factors-including prevailing winds, the rotation of the planet, and colder currents around and below the Gulf Stream. The amount of water carried in the Gulf Stream is equal to almost 100 million cubic meters per second, which is nearly 100 times the combined flow of all the rivers on Earth! The speed of the Gulf Stream can be as high as 5 knots. Now you can see why ships heading north and eastward across the North Atlantic tried to stay in the current. It would nearly double their speed, so they could complete their voyages more quickly. 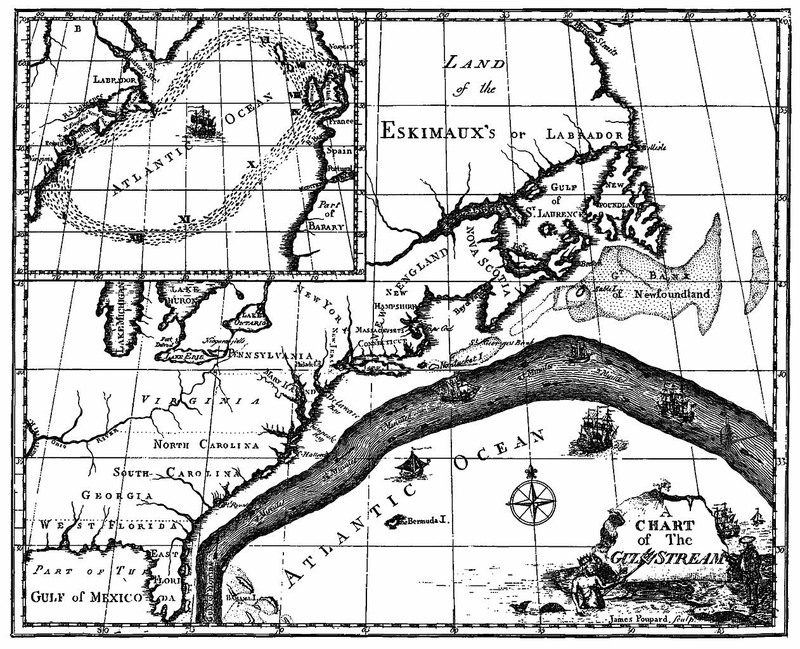 This map of the Gulf Stream appears in the book by Benjamin Franklin and dates from 1769. The Gulf Stream is depicted as the dark gray swath that runs along the east coast of what is now the United States. Benjamin Franklin was a statesman and diplomat for the newly formed United States, as well as a prolific author and inventor. Franklin helped draft, and then signed, the Declaration of Independence in 1776, and he was a delegate to the Constitutional Convention in 1787. As a civic leader, he initiated a number of new programs in Philadelphia, including a fire company, fire insurance, a library, and a university.